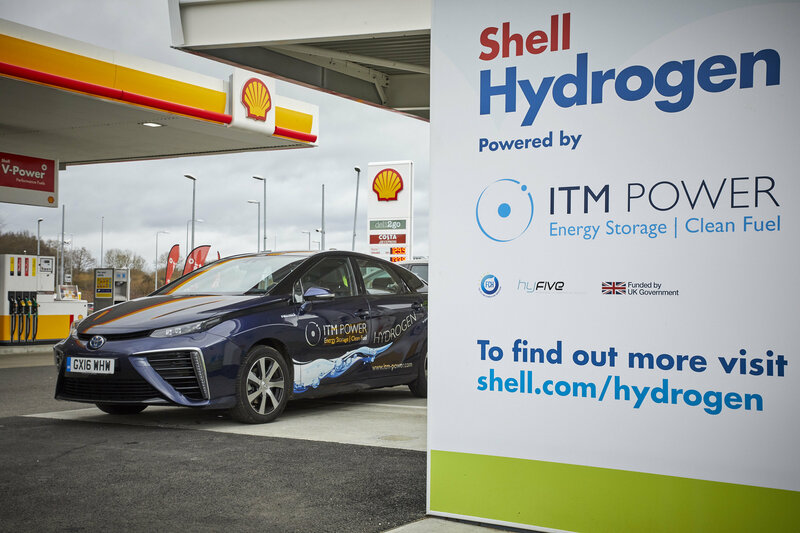 ITM Power is a British company based in Sheffield that designs, manufactures and sells CE-marked hydrogen energy systems for energy storage and clean fuel. Energy storage is achieved by coupling water electrolysis equipment to renewable power sources to produce high-purity hydrogen gas. ITM’s PEM electrolyser acts as a high-response, demand-side load and can be rapidly controlled by power companies to balance the grid against intermittent power input. The hydrogen produced is stored and dispensed as a fuel to any form of hydrogen vehicle. Systems are modular and scalable allowing integration into power systems and providing flexible deployment for new and existing refuelling networks. UK H2Mobility is the route to the development of a new clean transport system. It could enable the UK to be a world leader in the deployment and manufacturing of the necessary electrolyser-refuelling technology and hydrogen fuel cell vehicles, whilst at the same time realising significant benefits to the environment and quality of life in the UK. ITM contributes its experience and expertise in on-site production of hydrogen by water electrolysis. This includes the technical, practical and operational considerations for deploying hydrogen refuelling stations integrated with energy storage for grid-balancing renewable energy supply, so that fuel cell electric vehicles can run on a low-cost, zero-carbon, and high-purity hydrogen fuel.